Treatment to be applied to the face and neck. 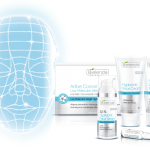 The suggested regimen is a series of 4-6 treatments, once a week. To sustain the effects, one treatment once a month, plus one-off treatments to quickly improve the condition of the skin. Remove eye and lip make-up using Eye and Lip Makeup Remover. 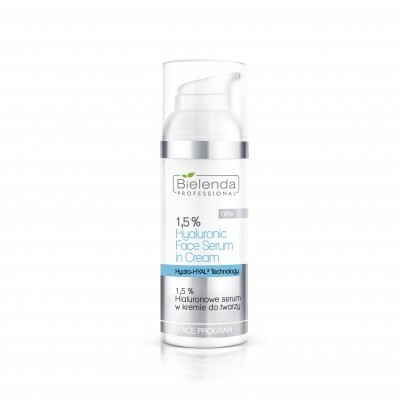 Cleanse the skin of the face, neck and décolleté using Ultra-Hydrating Cream for Makeup Removal. 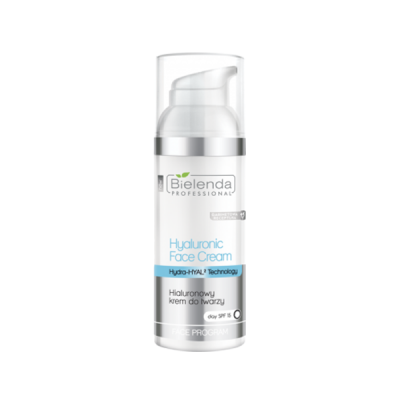 Next, apply the Ultra-Hydrating Face Toner to tone the skin. 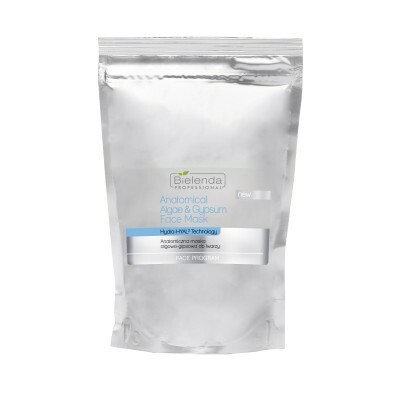 Apply the 2in1 Enzymatic Fine Facial Scrub with Papain and Bromelain to the area undergoing the treatment. For about 5-10 minutes continue to scrub the face, neck and décolleté. After this time, rinse off the scrub with lukewarm water and dry the skin, then tone it. Note! A different peeling, appropriately selected to suit the needs of the skin, can be used as well. 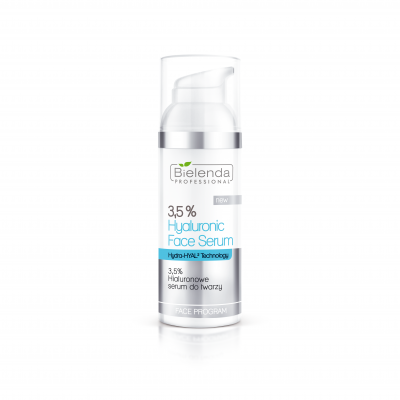 Apply three doses of 3.5% Hyaluronic Facial Serum to cleansed skin. The serum must be applied in a thin, even layer over the entire surface of the treated skin (fac, neck). Then, massage in the serum for about 5 minutes using a 2in1 Ultrasound Photon Massager – with the ultrasound function, or perform the massage manually until absorbed (alternatively, the Active Concentrate with Low Molecular Weight Hyaluronic Acid can be used instead and massaged in with ultrasound). In case of very dry skin and rapid absorption of the serum, we suggest the application of a thin layer of Contact-Gel for Ultrasound Treatments, in order to increase comfort and glide between the device head and the skin (detailed instructions for use and selection of parameters is supplied with each device). The serum can be massaged in with the help of another device that uses ultrasound. Do not rinse off the serum – in order to maintain comfort and continuity of the procedure, any excess of Contact-Gel can be removed with dry cosmetic pads. Secure the eye area with moist cosmetic pads. On thus prepared skin of the face, neck and décolleté, apply a thick layer of Hyaluronic Lifting Face Mask. Cover the face and neck with clean gauze, leaving the nostrils unobstructed. Mix 5 scoops of the powder and 3 scoops of cold mineral water (still) until the texture is smooth. 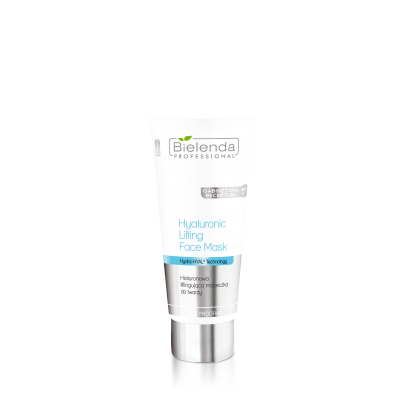 Immediately apply the mask evenly over the entire face and neck – avoiding the eye area, and leaving the nostrils free. Apply the mask by massaging vigorously in even stripes outwards and slightly upwards. After 20 minutes, carefully remove the mask in one piece. Apply the Eye Wrinkles Filler around the eyes, and the Hyaluronic Facial Cream to the surrounding area of the face, neck and décolleté.